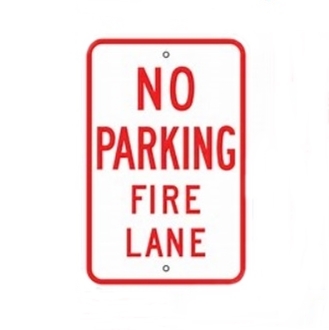 Our no parking fire lane plastic sign clearly communicates to drivers to not park in a fire lane area. If you do not see the aluminum or plastic parking sign you want, please email us a picture or a description (what you want sign to say, if you want a border, background color, word and border color). We will get back to you with pricing. Please include the number of signs you are looking for, material you want sign made out of (aluminum or plastic) and the dimensions (width x height). Go to top of this 12 x 18 No Parking Fire Lane Reflective Sign page.